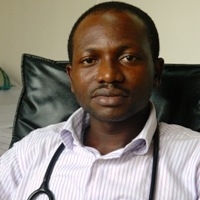 Dr. Winfred Baah, a Ghanaian, is a young, seasoned, skillful and selfless Physician Specialist whose core focus is to help prevent diseases, manage diseases and promote good health. In addition, he is involved in teaching, training and mentoring other junior doctors and medical students. Over the years, he has been keenly involved in these core duties, thus positioning him to better advance the practice of medicine. As a Physician Specialist, preventive medicine is as important to him as practicing and restoring human health. His passion is to impact knowledge and be a better role model, discharging his duties with excellence. As the Chief Medical Consultant for GHI, he plans the training needs of our resource persons, co-ordinates all clinical issues and devices appropriate teaching and learning tools that promote Health Education in the communities in which GHI operates. Dr. Nicolas Von Landenberg, a German, is a consultant Urologist currently working with the Munich Hospital. He had part of his education in Jakarta, Indonesia and in 2013, graduated from the University of Bochum, Germany as a Urologist. 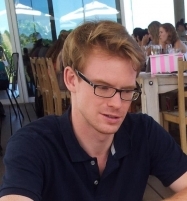 He has volunteered in very remote areas in Ghana and South Africa, where he acquired extensive knowledge in Tropical Medicine. While in Africa, he participated in several community health- related programs and brought hope to the lives of many. Dr. Landenberg is well known for his strong analytical and clinical skills as well as his ability to provide insightful solutions to very challenging problems. Dr. Michael Odonkor, a Ghanaian, is a proactive and enthusiastic Senior Medical Officer with passion for patient satisfaction and excellence. He has enviable experience in project and team management and has the ability to analyze and design organizational structures, organize resources for excellent results and provide a variety of approaches to effective decision making. He has spent the greatest part of his professional career providing holistic care for the sick and campaigning to reduce cancer-related deaths, predominantly, among women in Africa and the world at large. This has been the “heart” of his medical practice. Dr. Odonkor has worked in prominent hospitals in Ghana and has accumulated experience in the field of General Medicine and Surgery. He has attended several health and scientific workshops and has curved a niche for himself as a great oncology resource person for numerous groups, organizations and associations in Ghana. He joined the Sweden Ghana Medical Center (SGMC) as a Medical Officer (Oncology) in 2013 and currently heads the center’s CPD program. He is a member of the Hospital’s Management Team and works directly with the Oncology Consultants, undertaking initial investigations, performing metastatic work-up of newly diagnosed patients and follow-up review of chemotherapy and radiotherapy patients whilst managing common side effects of treatment. His career ambition is to become a Clinical Oncologist. •	Resident Medical Officer, Biney Medical Center (2011-2013). •	African Organization for Research and Training in Cancer (AORTIC).